How to Write a Performance Poem, Garnham-style. Ok, so I’ve been having a little think about it and I think I’ve come up with the ultimate strategy for composing a performance poem. Or at the very least, a Robert Garnham performance poem. Step two. Snappy first line. Step two. Interesting first stanza. The first few lines should back up the first line and kind of hint at the attitude of the poem. The audience is just getting warmed up, you see. No room for error or digression, you’ve really got to stick to what the poem is about. And then keep on piling it on until the end oft he first stanza. Then you can insert a little joke. Just don’t mention knobs just yet. Save your best material for later on. Step three. Create a stanza pattern. The next two stanzas should be similar to the first with some subtle changes in which you build up a rhythm both of language and imagery. At this point you should start to playa round with the template that you have created for yourself. You should relish language and really get your mouth around certain words, especially those that end with a hard sound. Like plop. This is where it all goes spatial. The poem suddenly embraces other themes or subjects or starts going all universal. This is where the audience realises what the poem is ACTUALLY about. Or you decide what it’s about and then you take it a step further. This is where you get all poet-like and arty farty. Conjur up the ages, emotion, existence, the human condition, not just shopping trollies with wonky wheels. Or knobs. Step five. The Robert Garnham Patented Fifth Verse Freak Out. Do it, man. Go on, do it. Pile in the words and rank up the pace. Maximum attack! Take the poem wherever the hell it wants to go. Scream. Bang them in like a woodpecker with a caffeine fix. Step six. The last stanza. Take it back to the template you set for yourself but now the audience has a clearer idea of who you are and what the poem is about. Slow it down, be ironic, sardonic, tender and loving. Step seven. The last line. And now to have some fun. Say what you’ve wanted to say all along. Knock them out with a killer last line. This is the difficult part, so good luck. But my hero Frank O’Hara is a good place to look for inspiration. You might already know the last line when you start the poem. Or it might come to you days later, usually when it’s least convenient. Like at the dentists, or a funeral. So there you go. 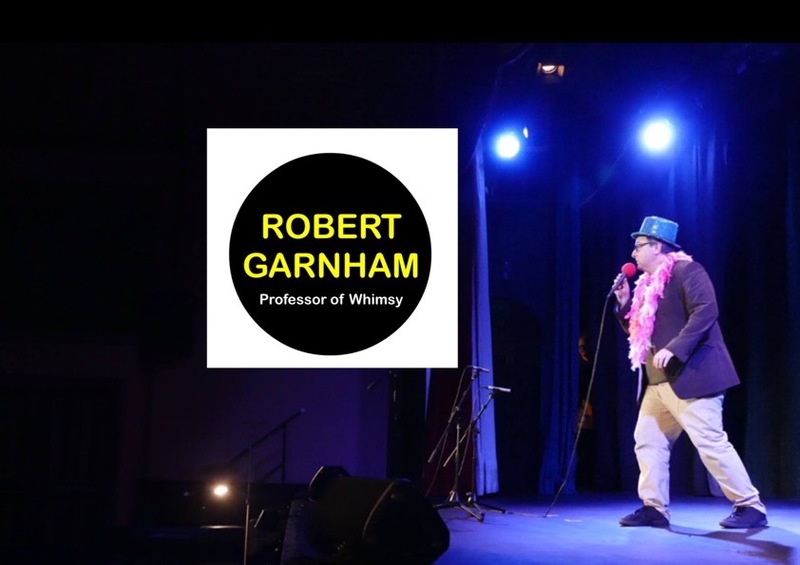 Sit back and relax and follow these steps, and you too can write your own Robert Garnham performance poem! And now here comes a new poem which does none of the things I mentioned above. Enjoy! If anyone got bitten by a puffer fish. When no one was looking. I’d have a first mate. Make of that what you will’. Nobody likes a smart arse. Now pass me my magnifying glass. That’s one creepy flip flap mother fish. Skimpy ever so subtly Hubba bubba too short far too short skinny jean cut-off shorty shorty short shorts, feel my legs, feel my legs, see the way they glisten in the sun, slinky, slinky! How can fish make cakes? They haven’t got any hands! But if fish haven’t got hands, then where do fish fingers come from? Morrissons do ten for about a quid. Author Robert GarnhamPosted on November 10, 2013 October 25, 2014 Categories UncategorizedLeave a comment on How to Write a Performance Poem, Garnham-style.